Stainless steel kitchen appliances have long been a favorite for their sleek appeal that meshes with all styles of kitchens. 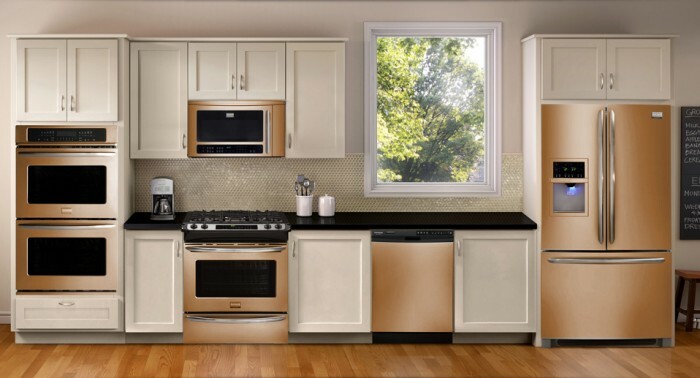 Now appliance manufacturers are giving you more options than ever to update your kitchen stainless steel. 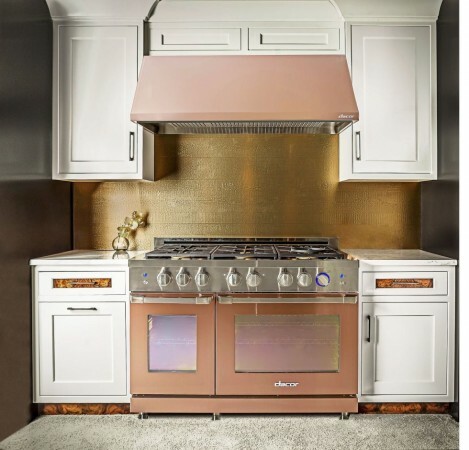 Black, bronze and copper stainless steel, as well as pure versions of these metals, are making kitchen appliances more versatile. Let’s explore kitchens that are breaking the stainless steel barrier. 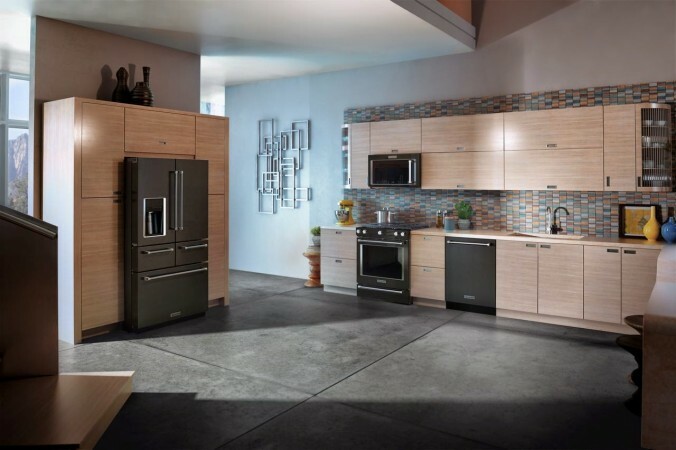 Black stainless steel is appearing on the market from many leading appliance manufacturers. 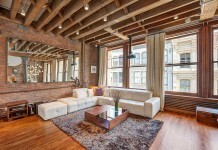 The look is modern and lustrous. 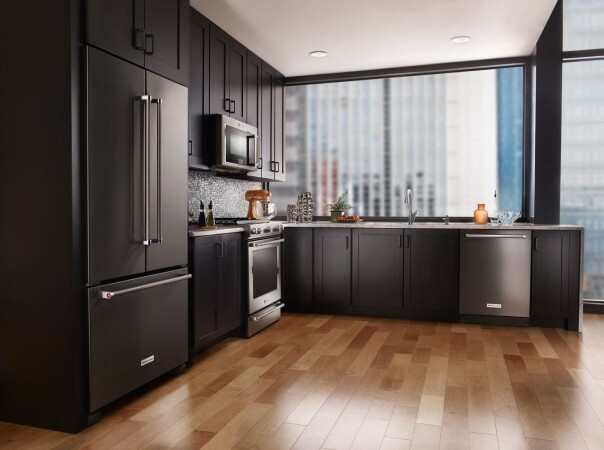 In kitchens with light wood cabinetry, black stainless steel appliances have a modern and edgy appeal. 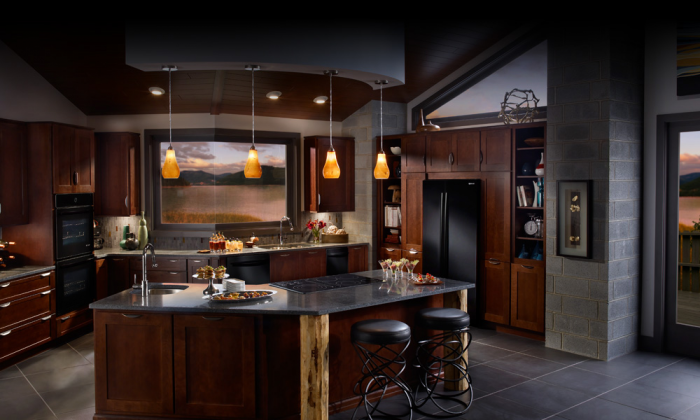 All black kitchens are sleek and stylish. 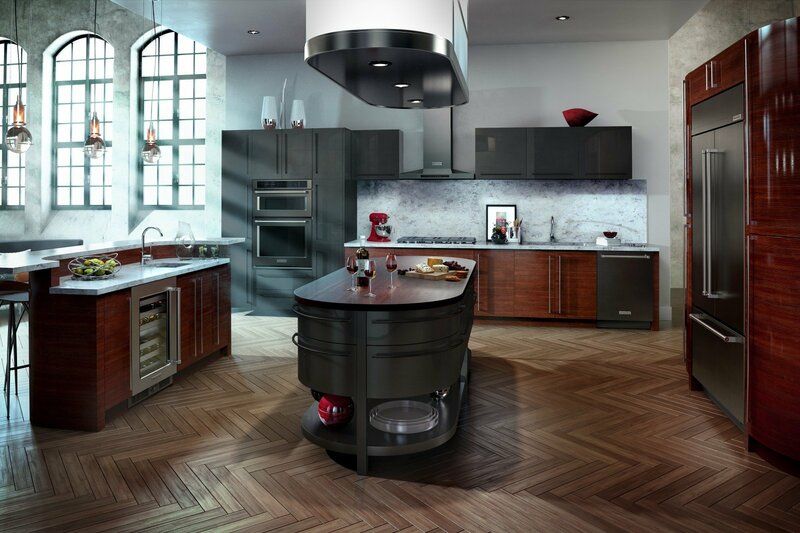 The bold contrast of black stainless steel against white cabinetry is a fresh aesthetic. 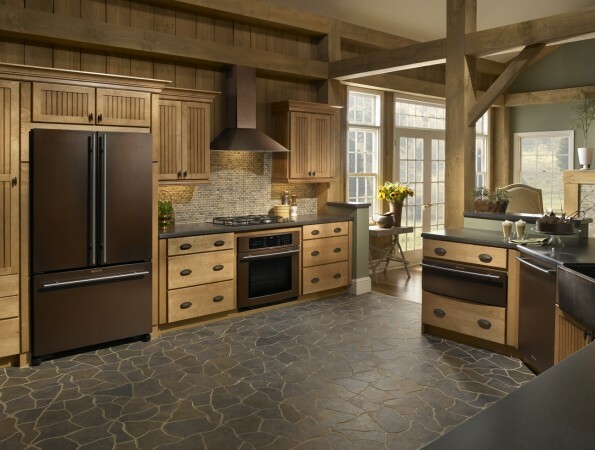 Bronze stainless steel fits well into kitchens with old-world charm and elegance. 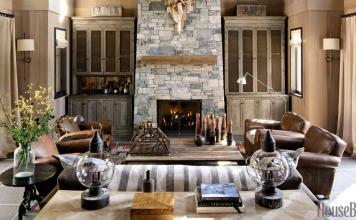 Bronze also mixes well with modern and rustic kitchens. 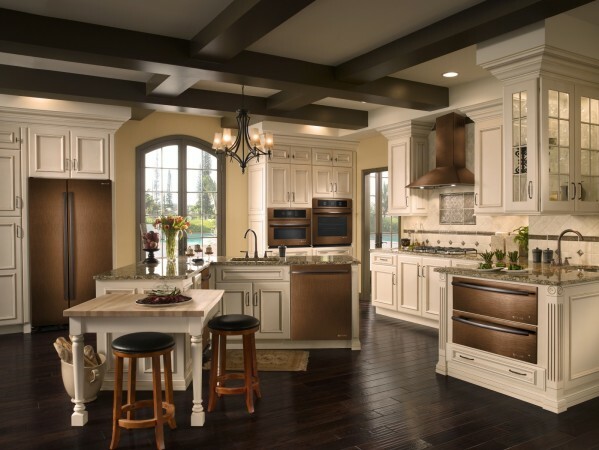 Warm and stately, bronze stainless steel kitchen appliances infuse the space with distinct character. 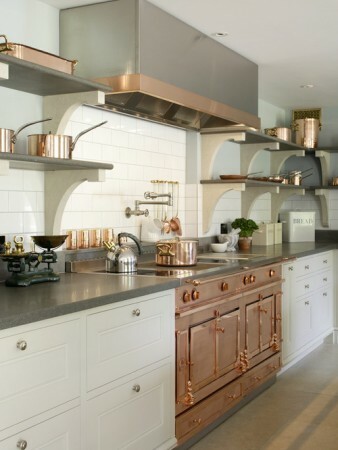 Copper and rose gold stainless or pure copper appliances have a fresh appeal. 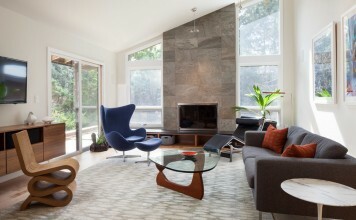 They lend a richness and warm glow to the kitchen, contrasting against white cabinetry or mixing in well with stained or painted woodwork. 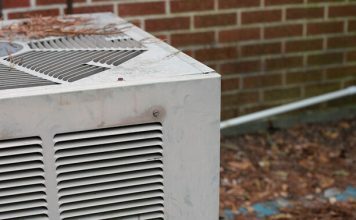 Other colors of stainless steel have the same advantages of silver but offer more versatility. 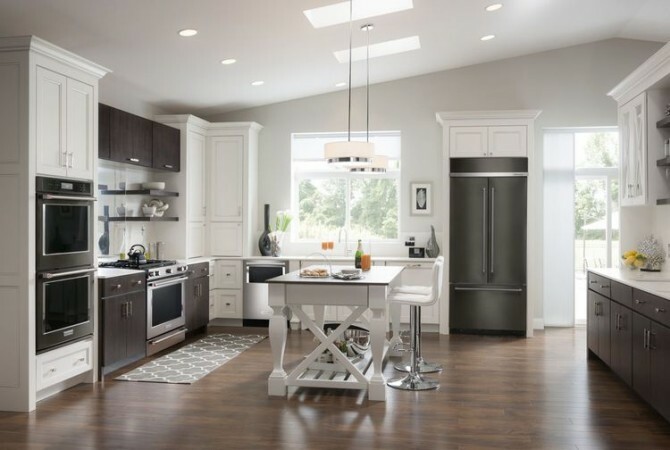 If you are not a fan of silver and have shied away from stainless steel in your kitchen, now is the time to consider your options. Perhaps a gold or bronze metal is in your future.